Technology is far more advanced than the general public is aware of. Because the military is the primary beneficiary of technological advances (not society in general), the population is kept in the dark regarding many of the advanced programs their tax dollars are funding. HAARP’s weather modification program is a good example. But now biotech is rapidly moving in the direction that is a threat to all humans that live on planet earth. Using biotechnology, nanotechnology and the genome project to ‘modifiy man’ is the current goal of the global elites. They believe themselves to be superior and as such it is their ‘duty’ to manage ‘man’s evolution’ – to their own advantage of course. The Age of Transitions is an excellent documentary exposing the politicians and the scientists that are helping the elite restructure our society into a ‘hive’ that they will control and whose purpose is to serve them. 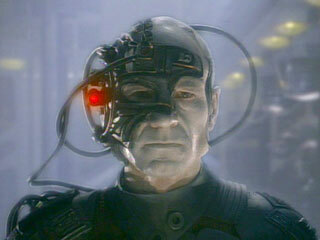 Newt Gingrich actually announced transhumanism back in Dec 2001.
take a long hard look at the final solution of the biotech industry – the creation of the “Borg” (depicted in the Star Trek series), whose mantra was “Resistance is futile – you will be assimilated”. Think this is too ‘far out’? Look up the term transhumanism, rethink the story lines of the movies Wally E and Avatar and watch the new series on the SyFy channel on Friday nights called Caprica. Dr Strangelove is alive and well . . . and he his now focused on all of us. Let us not forget the transhumanist movement is being driven by University, Inc, Government, Inc and Business, Inc and all three are profit/control motivated and have been referring to human beings as human resources (not personnel) and consumers (not customers) – for a very long time. The discussion of transhumanism is very much ongoing – right now! Our individuality, our creativity, our ethics, our compassion, our spirituality, i.e. our essence will all be a thing of the past if we allow ourselves to be foolishly ‘assimilated’ into the hive by the ‘spin’ that is created by Inc. perception management teams. You can readily identify their ‘work’ in Aaron’s documentary as they try to get folks to a) happily look forward to their ‘post-human’ enhanced status or b) accept that “Resistance is futile – you will be assimilated”. The population in the United States has already been dissected into two primary categories (here we go again). The reason we must all be fit into a “group” is that the propaganda machine has a tough time ‘framing’ messages for the NONE OF THE ABOVE folks. They want us to engage in Right versus Left conversations about the merits of ‘enhanced’ human technology and not notice that the transhumanism agenda is really antihuman. They want us to focus on what we will gain and not consider what we will loose. We are not supposed to recognize that our post-human status will very likely not include our unalienable rights of life, liberty and the pursuit of happiness – the very essence of who we are. 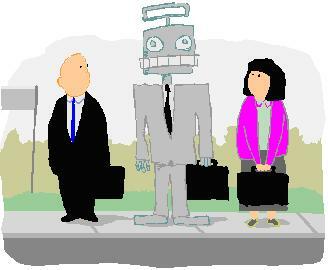 Post-humans will not be able to express ‘free will’, creativity or love. It is more important than ever that we get past the ‘spin’ and recognize that our general welfare has never been a priority for University Inc, Business Inc, or Government Inc. To these corporate entities we are merely human resources: assets if we comply or liabilities if we don’t. THEY ARE NOT . . . HUMAN! Although they exhibit all of the traits of a human psychopath! Personally, I like people better than machines . . . always have and always will! Please share The Age of Transitions documentary with all of the young folks you know – especially the techies. This entry was posted in corporation, Science and tagged bioconservatives, biological enhancement, biomimetics, tehchnoprogressives, transhumanism. Bookmark the permalink. This has come to light… its happening, so sadly. may awake before they’ve been ‘assimilated’ complete with ‘kill switch’.